($33.00 VALUE). Each product is designed with the highest quality ingredients and essential oils. Their motto “Peace of Mind. Piece of Luxury” stands true as West Lake provides customers with luxurious and effective products along with helpful information of how to use each product and make them last. With a wide selection of products, there are products made for everyone! The owner Wendy was inspired after her travels around the world to open a soap shop, and encourages those around her to come up with ideas to make the best soothing and effective products. Wendy emulates the Canadian way of life by keeping West Lake Cosmetics down to earth, and providing customers with helpful and thoughtful advice. Are you ready to get your hands on these FOUR FABULOUS products? 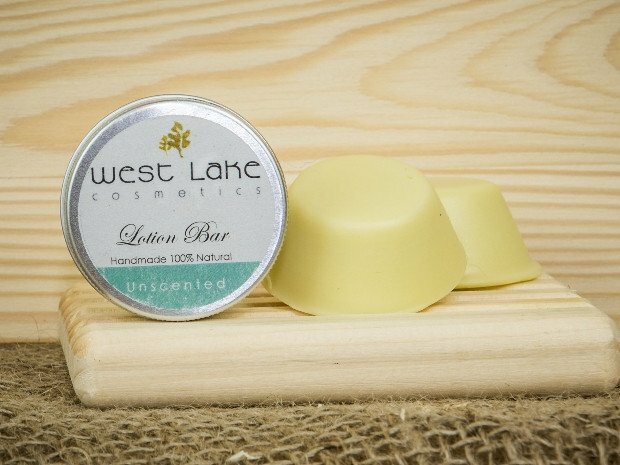 Vanilla Solid Lotion Bar- A multi-use vanilla scented bar designed for the on-the-go traveler which moisturizes, protects & alleviates. Solid Lotion Bars are great for moisturizing hard working hands, elbows, heals, cuticles, and anywhere the skin needs softening. 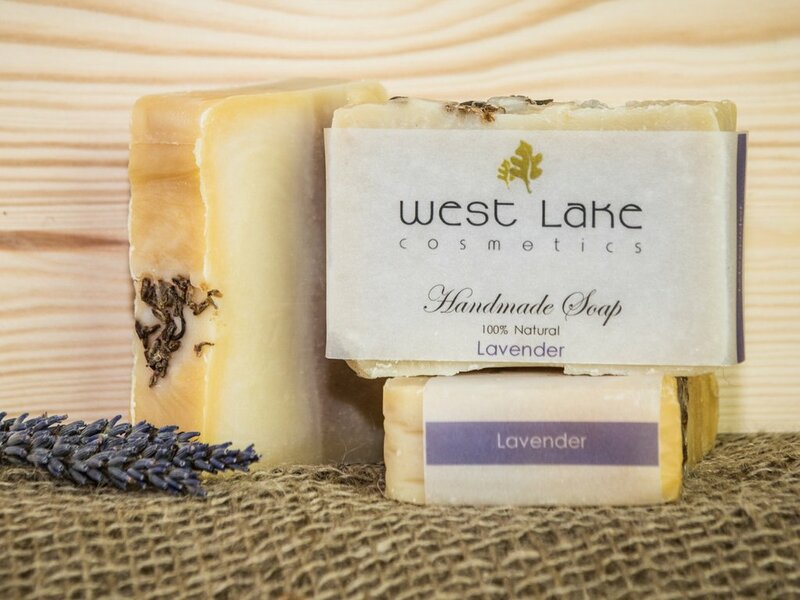 Lavender Soap- A Lavender soap that is soft, slightly sweet, delicate, and a true classic (helps to keep the bugs away too). Great lathering abilities, while also being moisturizing. 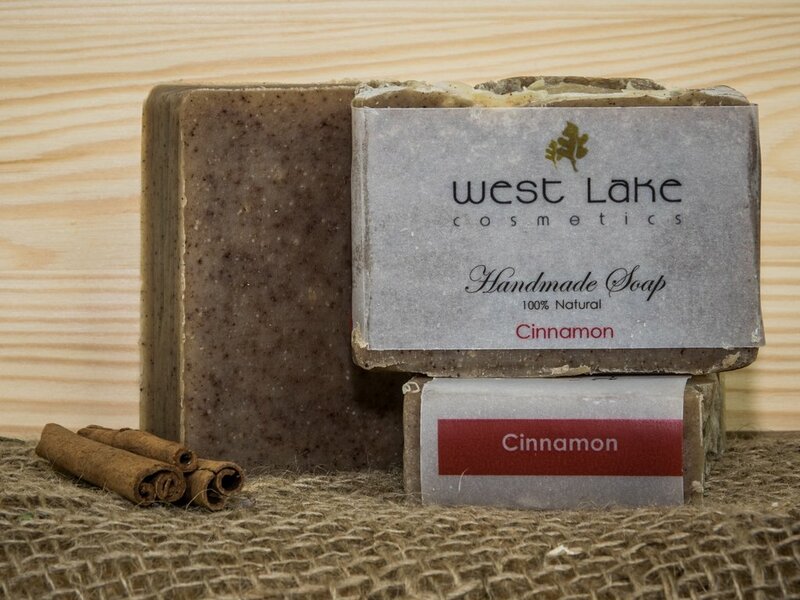 Cinnamon Soap- A soap with a very strong comforting sweet cinnamon smell. Men love this soap for shaving and is great for the Northern winters. This product is not recommended for sensitive skin. 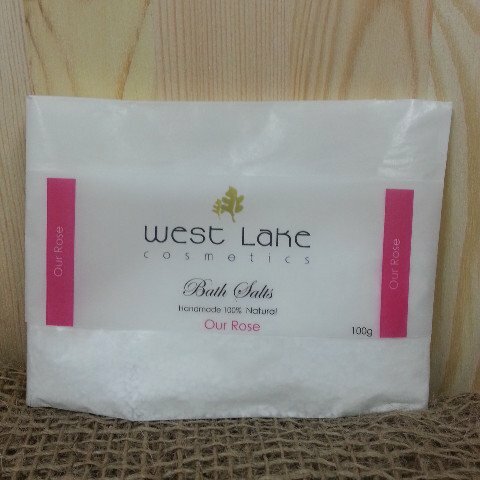 Our Rose Bath Salts- A seductive elixir of Our Rose Bath Salts with Rose Geranium and Rosemary essential oils which sets the tone for a romantic evening in a tub. SHARE the West Lake Cosmetics contest post from my Turquoise Compass Facebook page to your personal page (**make sure your post is set to “public” so we can see your share). COMMENT on the West Lake Cosmetics contest post on my Turquoise Compass Facebook page that you have shared. **Feel free to share with us why you are excited to win, but it is not required to participate. COMMENT on the West Lake Cosmetics contest post on my Turquoise Compass Instagram account. **Feel free to share with us why you are excited to win, but it is not required to participate. TAG 2 friends to share the wonderful news with others on the West Lake Cosmetics contest post on my Turquoise Compass Instagram account. Enter on Facebook AND/OR Instagram! If you do both, get TWO entries! Share/ comment & tag as many times as you’d like–each counts as a new entry. While you are sharing, feel free to connect with @WestLakeCosmetics on social media to check out Wendy’s wonderful products: Instagram, Facebook, Twitter. Contest disclaimer– Contest dates: July 12, 2016 – August 2, 2016. No purchase necessary. Contest open to Canadian mailing addresses only. A random contest winner will be notified after July 12th, 2016. The winner must respond within 48 hours or another winner will be drawn. 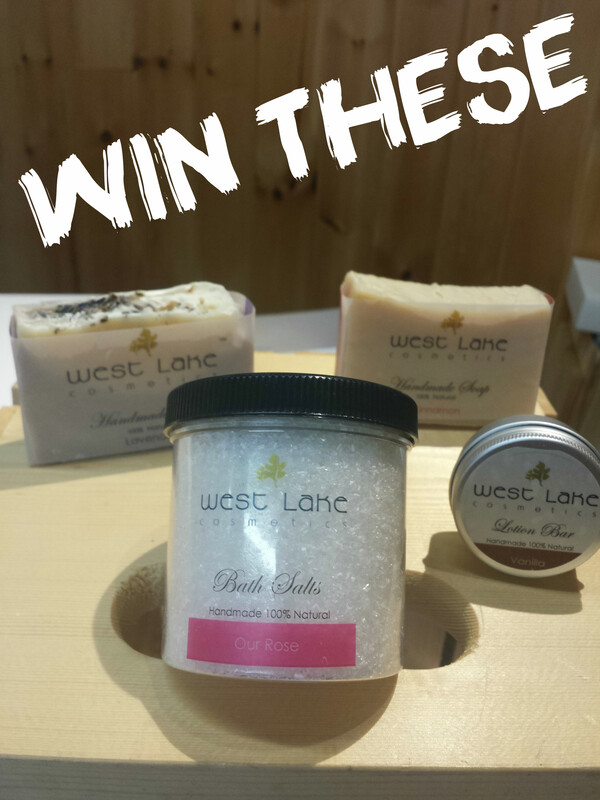 West Lake Cosmetics will directly ship the products to the contest winner. This entry was posted in Lifestyle and tagged Blog, Blogger, Canadian, Contest, Free, Giveaway, Handmade, Lifestyle, Lifestyle Blog, Lifestyle Blogger, Local, Natural, Ontario, Parry Sound, Soap, Turquoise Compass, West Lake, West Lake Cosmetics by Turquoise Compass. Bookmark the permalink.